Provide structure to ELIAMEP’s diverse work onSouth-East Europe and to systematise its approach. Enrich ELIAMEP’s work on regional international relations with a thorough investigation of the domestic context of Southeast European states. 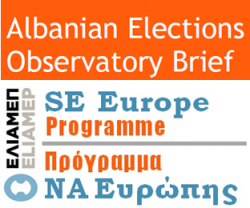 Communicate research findings to wider audiences and raise awareness about the ELIAMEP’s research on Balkan affairs. Build collaborations with important organizations and think tanks inSouth-East Europe and beyond. 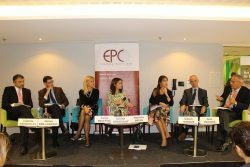 The South-East Europe Programme promotes the debate on key Southeast European issues by frequently organizing and participating in high profile events. In the context of the forum ‘Debating South-East Europe’ the Programme organizes closed sessions under Chatham House Rule in which diplomats and policy makers, academics and journalists brainstorm on important regional problems. The Programme also organizes international conferences in Greece, while its members frequently give lectures and speeches in conferences held in South-East Europe and beyond. The South-East Europe Programme publishes policy analyses and research findings through the standard publishing outlets of ELIAMEP. 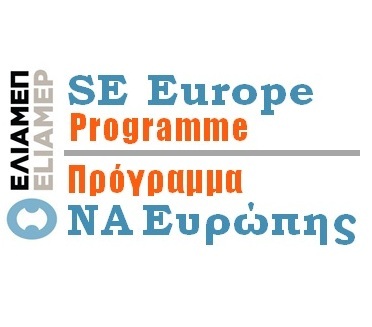 It also reaches wider audiences by publishing short articles and op-eds in prominent Greek and international media and its news are communicated to 15,000 subscribers through the mailing lists of ELIAMEP and the South-East Europe Programme itself. 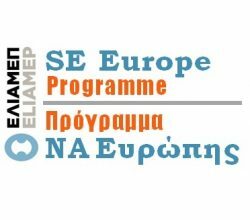 Last but not least, the South-East Europe Programme is associated with the Southeast European and Black Sea Studies journal, which is published by ELIAMEP in partnership with Taylor & Francis publishers. Balkan monitoring and analysis of contemporary developments. How the sovereign debt crisis is affecting Greece’s relations with the Balkan countries and Greece’s standing the region? An initial impact assessment. More: The SEE programme is running this project aiming to unveil the consequences of the current Greece’s debt crisis toward the Balkan region.Greece was a prominent ‘ambassador’ of the Europeanization process with significant political and economic presence in the region. Yet, the fiscal turmoil has the potential to negatively affect Greece’s political, diplomatic and economic influence and overall standing in the region. The objective of the project is to identify and analyse these repercussions and map areas of potential far reaching negative impact on Greek business and diplomacy in the Balkans. Will the EU abolish the visa regime for Kosovars travelling to EU countries? Two-day tribute to the "Unknown Balkans"